I am giving up cable TV! As part of my attack on budget cutting, I have decided to divorce my cable company. This is not a decision I made lightly. I’m paying $68.00 a month just for basic TV. No frills…no HBO…no extras. We had a family meeting, and the three of us agreed we could live very well without cable. I have a 17 year old grandson who never watches television. He is too involved in computer games and his Xbox. My 20 year old granddaughter lives with me so she can attend school at night. She works full time during the day, and never has time to watch TV. Since I started writing articles for HubPages, when I’m not outside in the garden or in the kitchen cooking, I am on the computer. I purchased a Roku ™ box and now we get movies, music, and TV shows through that. I can also stream movies onto my computer through various sources. So, the decision was made. Being the cautious type, I wasn’t going to cancel my subscription to the cable company until I was sure we could live without television. I disconnected the cable for one week, and we didn’t miss television at all, with the exception of our local educational channel. That television station is about 45 miles away. I did research on TV antennas. I have the old fashioned TV sets that cannot receive digital stations. See how smart I am now? Now I know the difference between analog and digital televisions! So through my research, I discovered I would need a converter box to convert the analog signal into digital. That sounded pretty simple so far. The next thing I would need is a TV antenna. Who knows? If the converter box is adequate, I won’t need the interior antenna. Before the days of cable, everyone used an outside TV antenna or we used “rabbit ears” on top of the TV set. Anyone remember those? We couldn’t get hundreds of channels (that we never watch), but it kept us happy. That’s all I need. One thing I had to consider is which kind of antenna??? 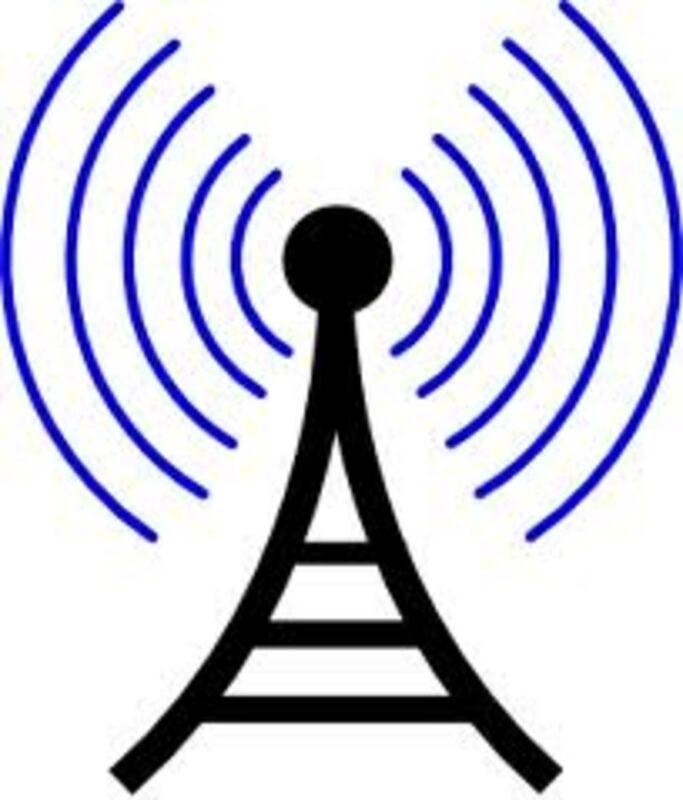 There are interior and exterior antennas. Oh, dear, this is getting more and more complicated. I live in Florida and we can have hurricanes here. We’ve been lucky for the past three years. No hurricanes. I figure with my luck if I have an exterior antenna installed on my roof, we’ll get a hurricane. Then I’ll have to pay someone to come and take the antenna down or just allow it to blow away into my neighbor’s yard. I’ll have to pay someone to erect the antenna on my roof to start with, so that’s more expense. I started looking into interior antennas. Hmmm, that might just work. So, I’ll start out with a converter box and a small interior antenna. I was feeling pretty smug by now with my intelligent decision. After all, I had spent a full day doing all my research. I went to our local electronics store and talked with a nice young man who was very helpful. I was all set to buy a converter box and the interior antenna, but he talked me right out of the interior antenna. He said I’d never pull in any TV stations because they are all at last 45 miles away from where I live. He worked up prices for me that totaled $400.00 plus the cost of installation which would be at least $150.00 for someone to get up on the roof and install the antenna. This is getting a lot more expensive than I planned. Now, I’m back to “square one”. I went to our local “big box” store. The nice young man there knew nothing about interior antennas. He just showed me where they were located in the store. I was confident I could pick out what I needed on my own. 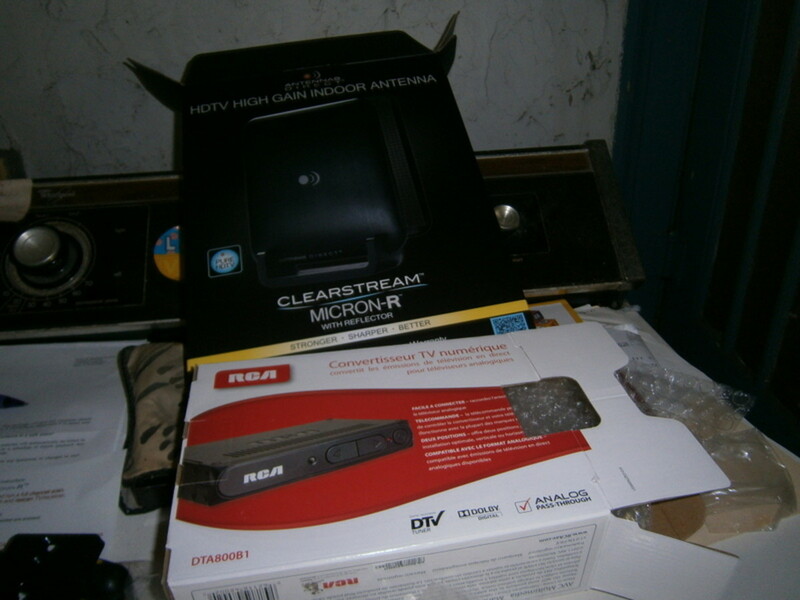 I purchased an RCA converter box for $49.99, and a Clearstream Micron-R antenna with a reflector, HDTV High Gain that cost $79.00. I didn't have any choice in these because they were the only ones on the shelf. Being the intelligent person I am, I even bought 10 feet of extra cable just in case the supplied cable wasn’t long enough. If this converter box works to transmit the signal to digital, I won’t need the antennas. Hey, it’s worth a try, right? I decided to try all this on a TV set that is in a good location near a window, and one I can get to the back of the set easily to work on the cables. I've Got The Converter Box And The Antenna Installed! 1. Connect your existing antenna cable to the ANTENNA IN jack of the TV set. Done. 2. Connect the supplied cable from the OUTPUT TO TV jack of the converter box to the ANTENNA jack of the TV set. Done. 3. Connect the AC adaptor of the converter box to an electrical outlet box. Done. I turned on the TV set, and lo and behold, I could pull in ALL the channels I previously received through the cable company. I was elated! I did it! Oops, then I realized I had attached the cable company’s cable which is still active instead of the newly purchased interior antenna! OK, I’ll assemble and install the interior antenna. The converter box won’t work alone. This little job took me about two hours to get all the pieces of the antenna put together. The converter box comes with a remote control. I’m instructed to use this remote to program my TV and scan to see which channels I can get. I was pleased to see the scanner was working trying to find channels. When it got all through scanning for channels, I got the message on my TV that NO channels were found! Not So Fast! We Did It! One of my daughters came over and I explained to her what I had done. I was pretty dejected. She looked over my connections, and at first she didn't see anything I had done wrong. Then she asked if I had connected the Coaxial Cables. I used all the cables that came with the equipment. Sure enough, we reread the instructions and they clearly say these cables MUST BE USED. She took the Coaxial Cables from my Roku ™ and plugged those into the converter box and the TV. These are the cables that go "red into red, yellow into yellow, and white into white" holes. I didn't think they were necessary , BUT THEY ARE! Why do you suppose these cables are not included with the converter box? After she did that, she ran a program scan, and I was amazed! I'm getting more channels than I did with Basic Cable! I couldn't believe my eyes. I counted the channels I'm getting: A total of 23 channels. I don't know what half of them are, but I will learn. I am so happy with the results of my work, (and with the help of my daughter). Now we can get rid of cable, and I have one TV that I can use to get the educational channel I like plus many more if I want to watch those channels. If I wanted to invest about $180.00 per TV, I could add a converter box and an interior antenna to the other TVs. Maybe later, just not now. My advice to anyone who is thinking of giving up their cable service, BE BRAVE: DO IT! If you are into recording movies or programs to watch later on, or if you just have to watch sporting events, this is NOT for you. 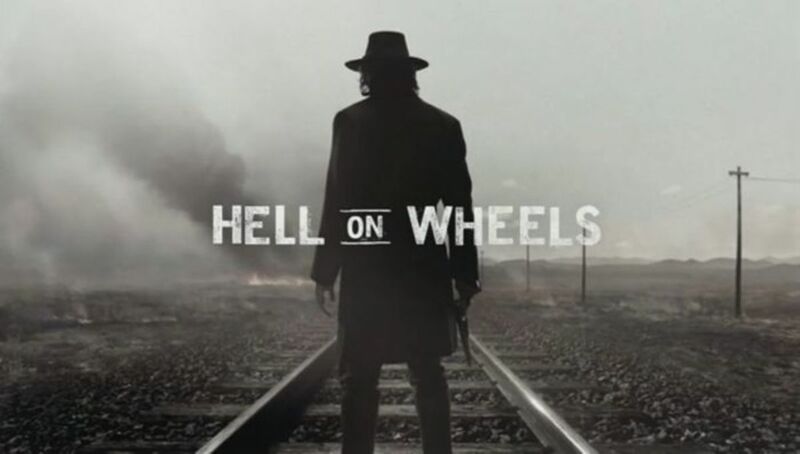 For someone like me who seldom watches TV, I think it will be good. I splurged and bought myself a brand new flat screen television set. With the new sets, the TV signals are already digital, SO I won't need the converter box!!! It was such a simple task to just screwed on the end of the coaxial cable from the antenna into the new TV. There were very good instructions on the new TV how to program the set using the interior antenna settings. Afer I ran it through the channel scan, I began to get fantastic reception! I jumped for joy! I'm getting all the local stations (which the pros told me I couldn't get), plus 28 more channels! I wish I had done this years ago. I packaged up the converter box in it's original box (that I had carefully saved), found my original receipt, and headed for the store I bought it from. I got a full refund. I have a total invested now of: $178.00 for the new TV set, and $79.00 for the Antenna, for a grand total of $257.00. This will pay for itself in a little less than 4 months. I AM FREE OF THE CABLE COMPANY! I purchased a Roku LT box that I can use for streaming movies from Netflix and other sources. It also has a wonderful music channel so I can listen to my favorite music. This box picks up the signal from your internet. Great Reception With No Converter Box! Are You Fed Up With Cable TV? 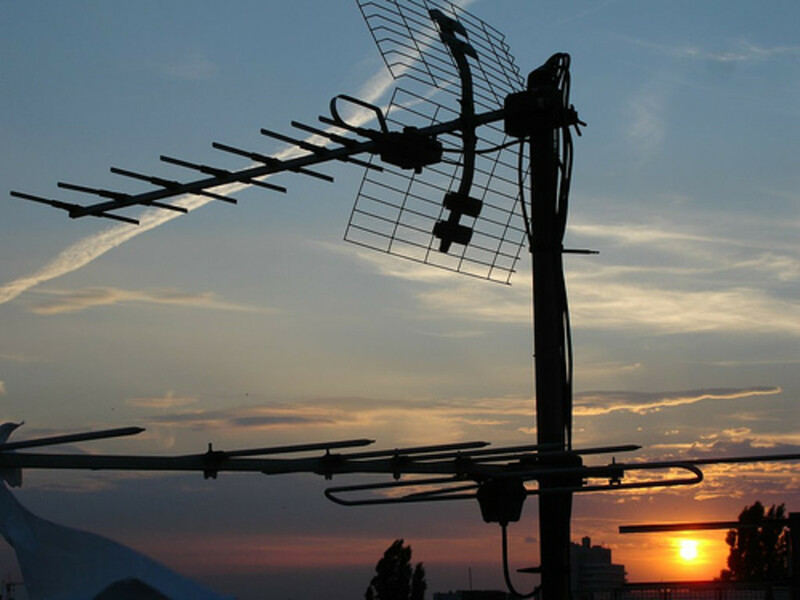 Did this article prompt you to install an indoor antenna and cancel Cable? Glad you got rid of the cable company. I'm afraid I do not watch much TV there is not much worth watching. I am too busy but my husband watches TV and we keep it for the grandchildren to watch cartoons. Happy for you and great job. Hi there, Rolly A Chabot If and when the cable companies allow us to order and pay for only the channels we want, I will return to them (maybe). I resent having to pay for junk I never watch! Your Crave TV sounds like a good idea. Hi Mary... loved what you have put together here. I have a bundle with my service provider for cable, and net. I have been around long enough to recall when Satellite TV was free, all you had to do was buy the system, but then the cable companies arrived and demanded to have their way. The result is a multi billion dollar industry that has taken on a life all its own. When I look at cable and what I get, like you it is time to unplug. Yes I have what they call 600 channels, but at closer inspection it is likely closer to 30. They are simply time shifted is all, miss a show at 8 and you can pick it up again at 10. Today with the internet, Netflix and what has recently arrived here in Canada called Crave TV, we can watch anything for pennies per month in comparison to those high rates. Hi, peachpurple Good for you on using an indoor TV antenna! I wish I'd done this years ago. Hi there,aesta1 The only thing I use my TV for is the local news~! I have not missed cable TV at all. The programs that are available are just trash as far as I'm concerned! We have had no cable for years in our cottage as we only watch movies on it. We all work on our computers and most months when we work, the places we stay in all have free cable. But when we get back to living in Canada, I would rather do this given that we are not TV watchers. Hi there, tillsontitan I can get at least five channels where I live. I have a Roku box for watching movies, etc. so I don't watch too much TV anyway. You're an inspiration girl! The problem here is where we live. We MIGHT get one local channel but that would be it. They don't call it the Hudson Valley for nothing. I'm glad it worked so well for you though and you did a great job! Hi, Celebrates Well, I got sick and tired of paying our cable company to watch those channels they forced on us. Now, I am in control of what I watch, and I love that I can give up the cable TV company! Yes, they should pay us to watch their programs! I think the already existing free tv you can get from an antenna is just as good as the over priced cable and satellite. Personally I am tired of being a consumer that has to pay to be bombarded with commercials. They should pay us to watch their programs. Good Morning, RonElFran Sounds like you are "married" to the cable company! Yes, one day you will be able to divorce the cable company just like I did. I've got a friend who between off-the-air broadcasts and Netflix has been independent of cable for years. But for my family it's too late. Cable supplies our phone and internet service as well as TV. But technology keeps advancing, and I believe our day of freedom from cable will eventually come. Hi, FlourishAnyway. I am so happy I no longer have that big cable bill to pay every month. Anyone can install one of these systems. Yes, be brave, and try it! I think I will get gutsy enough to try this. I love the idea of divorcing the cable company! Hi joedolphin88. I, for one, will never pay the cable company again! I get all the channels I want, too. I'm doing this right now and loving it. There are great channels for free with an HD antenna. This is a very useful hub, Mary! I admire your resourcefulness and determination. I'm sure that your practical advice has been and will be helpful for many people. Thanks for the great article. Chiar bun. Cea ce am vazut pe website-ul tau despre How To Give Up Cable TV By Installing An Indoor TV Antenna m-a surprins placut. Va felicit pentru dezvoltarea mary615.hubpages.com, care e un site care merita distribuita. Hi, Que Scout. Good to hear from you! Sounds like you have the perfect set up! I still do not have Cable TV, and have no desire to do so. Thanks for the nice compliment. I'm off to find your Hub. Reporting back. The joy factor was no more over saturation of propriety ads. The ones they show the same ones of for years on end, during every break. An insult to their viewers, I thought. Now I skip the ads. My antenna is up. It’s connected to a PC and then to TV. I can do the "pause live TV, record 2 programs at once" thing. I often pause for 45 mins whilst I am in the kitchen. Return to the TV and fast forward through all the ads. I wrote a hub about it. Yay Mary. What a hub. It's changed so many people’s lives, both in leisure and financial ways. I hope you get a squillion views. Hi rasta1. Hope all is well in your beautiful country of Jamaica! Thanks so much for reading about how to divorce cable TV. I have more and more friends who are putting up antennas. The only problem with that is when we get a hurricane, they have to take the antenna down. Good Morning, Anna Haven, What a nice compliment you gave me on this Hub. I did a lot of research on how to do this before I started cause I'm not good at anything electronic! Hi there, billybuc. I'm not surprised you don't have cable TV. I know you are like me and try to live in a frugal manner. I have not missed cable at all. As busy as you stay with all your writing, you wouldn't have time to watch TV anyway, right? I had ditched TV all together for a couple years. I then decided to at least watch news with just an antennae setup. Cable is not on the agenda at all. Just use the TV to stay tune with global emergencies. We don't have cable...heck, we don't have tv. LOL I just wanted to stop by and see what all the ruckus was about this 29,000 view hub. Well done my friend. Great job! Well you just made my day with your glowing compliment on my Hub. I find I am happy living with NO cable TV, and I sure don't miss that bill every month. I have been thinking about this for a long time Mary--and would love to divorce cable--I am still trying to figure out how to deal with sports though--my husband loves watching sports--and I am not sure that with a roku I will be able to get to the channels that carry sports--not ESPN--just the regular channels --so want to do this though! Hi, Mary - I'm not sure how I missed this hub the first time around, but am glad I had the opportunity to read it today. I "divorced" my cable company after I retired from working for them...haha. Yes, during the 22 years I was employed by a large international telecommunications company in division management, I got all their services free as "perks" of employment. After my earlier-than-planned retirement due to health issues, it was easy for me to forego cable TV services. 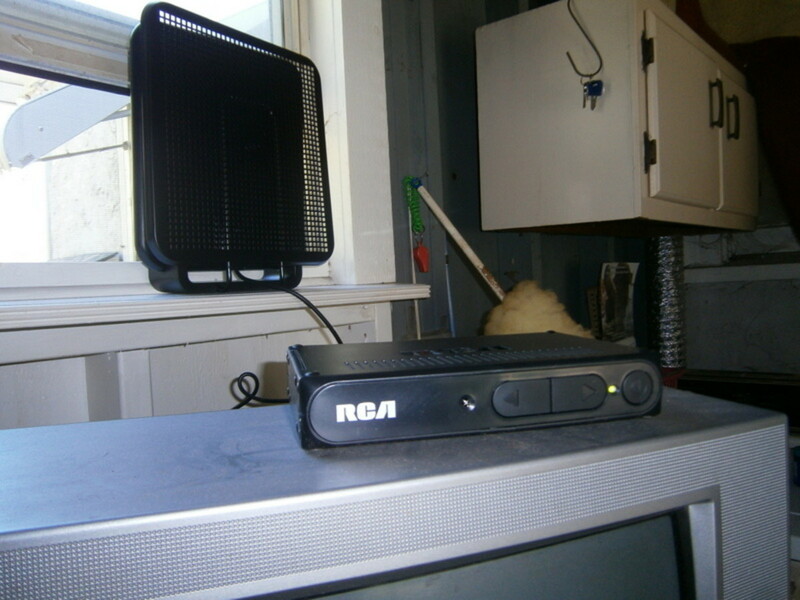 I bought in inexpensive indoor antenna so I can get a few local channels in the event of bad weather and later purchased a Roku that I use with broadband Internet access and a network router. I haven't missed cable TV for a minute! Great hub and just as relevant these day as when you first published it. Confetti and champagne all around! This is incredible! Phenomenol! and BRILLIANT! LOVED it, my dear! Informative, brave, and whether it was intended or not - FUNNY too! you put an amazing article together here - you deserve every view and then some! do i even bother to share? Hi there, Stephanie Henkel. I'm glad to hear you are among a lot of people who have given up cable! I have not missed it at all. I really enjoy my Roku box for watching movies on Netflix, etc. What a great idea for a hub! We did this a few years ago because we didn't want to pay for cable and it works very well. This is a terrific way to save some money and your instructions are great! Voted up, useful and interesting! Hi Vinaya Ghimire. Thanks for reading my Hub on divorcing cable TV even though it doesn't apply to you in your country. Once the cable tv people come in, they hold a monopoly and charge high rates to get their service. I'm sure your satellite dishes do a great job. Before cable, people here relied on them or outdoor antennas. Here, in our country, we have not gone digital. We can use satellite dish to get signals from few TV stations but nothing from paid channels. But anyway I was enlightened to learn this. Hi holistic-health. You are right; it's time to cut the cord! I am glad I did. Way back when cable first started the idea was that it would be commercial free and cheap. It's time to cut the cord. Hi msholliday. Congrats on giving up cable! 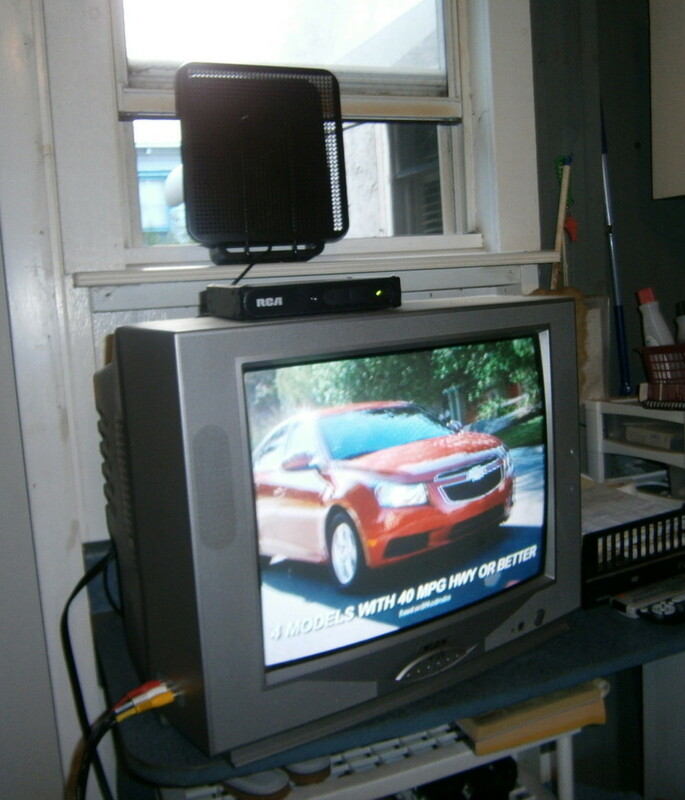 With my flat screen (fairly new) TV, I only hook up the antenna, NO converter box. If you continue to have problems maybe you should go to your local Radio Shack or Best Buy. You may want to give Sansung a call... Could be because of the distance from your house to your local TV station. Good luck. Good luck! Thanks for your post. I too just divorced cable today. Now I'm in my living room with pile of wires coming from my blank flat screen tv. I just want to watch the local channels on my 36 inch Samsung flatscreen tv. How do I do this? Do I need to purchase equipment? I have an analog tv in my bedroom in which I used the free govrmt convert box for it. I'm still waiting for it to finish scanning channels. Hopefully it will work. But I'm lost on what to do about getting local channels on my flatscreen which is in my living room. Hi platinumOwl4 I feel the same way! I got so tired of paying to watch all the dumb commercials that cable forces us to watch. I have not missed cable at all. I think more and more people are unplugging their TVs altogether just as you have done. I have not owned a television in 15 years. I refuse to have someone dump their garage in my home. Manley P. Hall says " we are better off with the television off" I agree. Hi, David Trujillo. Thanks so much for reading and commenting on how to divorce the cable co. I don't miss cable TV at all. I'm happy not to have that bill every month! You asked a good question on HP, and I'm keeping up with the answers, too. I see why your hub is so popular. A simple solution to a very common problem to humanity. Hi, ranmano4. I am not at all familiar with the Leaf. Is that an inside antenna? It's quite possible that you do have too many obstacles to get a good signal from an inside antenna. If I were you, I'd purchase an interior antenna such as I mention in my Hub from Walmart, bring it home, hook it up and just see if it works. If it doesn't work, take it back. You might also need a converter box like the one I started out with because my TV set was an older model. Good luck...don't give up. You could put an antenna on your roof, suppose. Thanks for readng...I wish I were more help. I canceled cable and just use Hulu Plus for 8.00/month for on Demand type programing. We are very satisfied. However we want ABC CBS and NBC for live news. I ordered The Leaf but it didn't work. They said we have too many hills/trees in the way. We are about 45 miles outside of Philadelphia. The Leave was supposed to pick up over 50 miles. Now i feel like I can't trust any antenna. Any suggestions? Hi, torrilynn. Thanks for reading and for your nice comment and vote. I think more and more people are just tired of big cable bills they really don't have to pay to get good entertainment. Hi, Que Scout. Good to see you again. I took your advice and added a poll as you suggested. A lot of people are certainly interested in "divorcing" the cable company. Everyone is so fed up with those huge bills! If possible it would be good to see another "vote" capsule in your hub. I am thinking ; Did this Hub prompt you to install an antenna and cancel cable? I bet there are a bunch of people who did make the change since your hub was published. Hi stephanieb7. I know by your articles that you love saving money. Good for you. 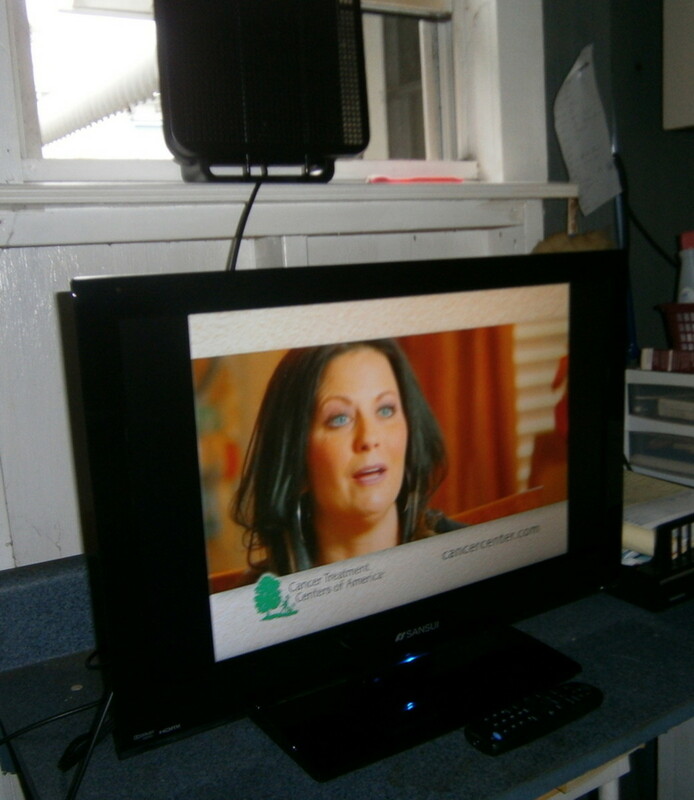 Giving up cable TV by installing an indoor antenna is a great way to save money. Good Morning, Mommy Needs a Nap. Nice to "meet" you. Thanks for reading and commenting. Yes, I wish I had known how to eliminate the cable company long ago! Hi, midget8. I am so happy I discovered how to "divorce" the cable company. I am very happy with the outcome. Great job walking us through the process. Thank you. Mary, you are really hands on. Thanks for sharing this, and I'm sharing for those who are considering passing up cable. I found your Hub and left a comment. Also Linked yours with this one. 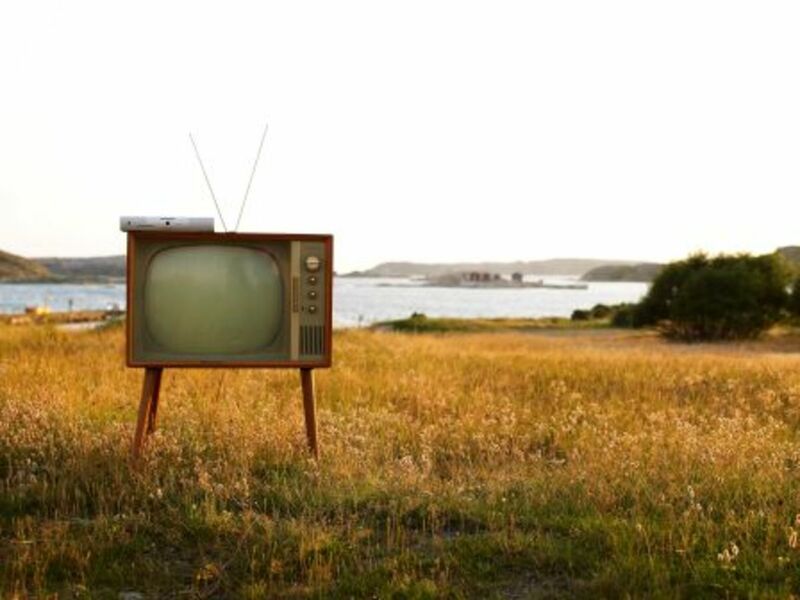 Hopefully,we can convince readers they don't really need Cable TV! I found it by searching "free smart" within the hubs. During the next day or two I will link it properly to your hub. I just need to get it on featured hub list first. Our hubs complement each other, and the association of the two would be more helpful for USA viewers because cable TV became so popular in the 80's and the bulk of Americans live in rural areas with poor reception, Hence cable was the way to go. 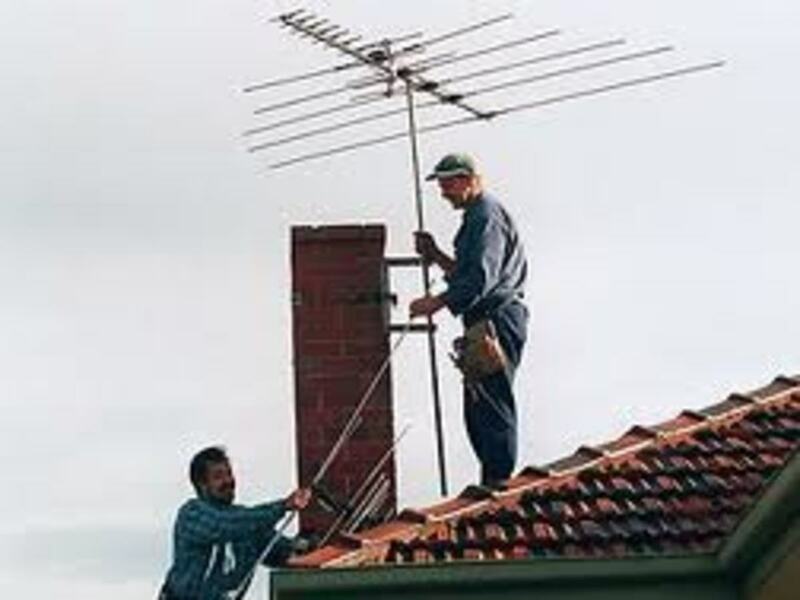 Most of the rest of the developed world do not live far from the TV transmitters, hence they are somewhat happy with free to air TV and never gave up the antenna. When I think about it, over the 10 years so so I lived in the USA, I do not ever recall attaching an antenna to my TV. So your hub, I think is a good reminder to everyone that an antenna really can be used with good results. Hi, Que Scout. I just checked to read your Hub and I don't see it. Usually even when the Hub is new and is being reviewed, HP shows it. I'll keep watch for it, but in the meantime we should follow each other so I'll get notification when your Hub (s) is published. I am now following you. There is certainly an interest in cancelling cable TV, so I think yours will get some good traffic. This one certainly has. Done like a dinner. I wrote a new hub entitled 'How to Setup Free Smart TV using a PC"
I expect Hub Pages will put it up in a day or two. With your hub and mine people will get more of a perspective and open up some more options. Good morning, Que Scout. Thanks for coming back. I would look forward to reading a Hub you write on how to use a PC as your main TV. Then we could link our two Hubs on this subject. Thanks for your note to Eric Dockett, too. I have thought about writing a Hub on how to use a PC as your main TV. I may still do one, but your Hub has the ball rolling perfectly. Maybe if a few Hubbers request I do such. Just a quickie on the antenna. I researched antennas in depth and the results were very clear indeed; Anagog TV and Digital HD antenna's are the same. Both will deliver the same digital reception. Any suggestion to upgrade your antenna for digital TV could only be to get a bigger or taller antenna. Yes it is a "sales fetching scam" if any one suggests changing an antenna to receive better digital TV. With a little time I can back this up if anyone want to know where I got my info. It came from the Australian government comity responsible for the digital TV roll-out. Hi, Que Scout. Well, you have certainly taught me something by your comment. I am going back to refer to your suggestion for sure. I think you should write a Hub about how you did this. More and more people are just fed up with the Cable companies! I apologize for the delay in answering your comment. It went into my "spam" box for some unknown reason. I really enjoy my Roku. I get my Netflix movies through that. I have Hulu, too. I'd say to buy an indoor antenna and try it. If you are not happy with it, send it back! Thanks for a very helpful Hub. I just happened to stumble on it while my wife and I are on the verge of getting rid of our satellite service. We ordered a HDTV antennae, and the whole scheme depends on how well the thing works when we get it. I'll just be happy to get the 4 local channels. I'm hoping the antennae + Netflix + Hulu = no more DirectTV, and a savings of almost $100/mo. I might even get one of those Roku thingys! Lots of people use a PC to access TV if there TV accepts HDMI or PC input. All you need is an outdated PC, say a P4 running XP, Win7 0r Win8. On the PC you will also need a TV receiver card or USB, ($30-$90.00). Bye Bye remote - the mouse does a superior job than a remote control. I pride my self when people notice the lack of remotes in my living room. TV guide accessed by a mouse click, then click on the program you want or want to record. Watch and or record 2 channels at once. Pause the program then skip the add breaks. Skip to internet/youtube when nothing is on. The list of advantages against ALL the above blogs (sorry) and cable are clear. Until the antenna TV stations are completely gone off the face of the earth and replaced by internet TV, this is the only way to go and still have the lot. If you try this I have 3 tips; brand of TV tuner card/usb should be AvMedia. The software must be Windows Media Center (WMC) and the software (except for the driver) from the TV tuner should be uninstalled, USE WMC only. Windows Vista is not good to use as your TV, it does not do a bunch of things like the TV guide. WMC is standard on, and is already installed, on Windows XP, Vista, Win7 and is an add-on for Win8. Total cost of this HTPC or smart TV if you like is around 60 bucks for the PC tuner, and an old PC. The result is cutting edge TV viewing. Hi stayabovewater. I ususally get 10 channels (depending on the weather). A lot depends on far away you are from the TV stations. I just tell people to try an indoor antenna and see if it works for them. If you aren't happy with it, take it back to the store. How many channels do you get? Good Morning, NicoleMessenger. So nice to "meet" you today. I would advise people who are thinking of doing away with their cable: First, unhook your cable and see how well you get along without it for about a week or so. You'd be amazed, especially if you install an indoor antenna. I really like my Roku box. I get music, movies, news, etc. on that. I remember rabbit ears and outside antennas, the latter we had to go outside and turn while someone inside told us if the picture was improving or not. Of course, that antenna was situated on the ground. These days I use Netflix. I tweeted your Hub. The commericials are annoying, and I've always hated it when I would be watching a TV show, and then it would switch to the commericials! Hope yu have a wonderful day, too. Gail. Hi, gail641. I couldn't agree with you more! Cable TV is way too expensive. I always resented the fact that I had to pay to watch all the stupid commercials in order to watch a show I wanted to see. I love my Roku box, and they are constantly improving those. Cable TV is way too expensive! I think it is a great idea to get rid of cable! A better alternative like the Roku box sounds like a great idea. I had cable, but I couldn't afford it (the Internet was with it) and I couldn't pay the bill and the cable company disconnected it. Right now I have the Dish Network, but I'd rather have something that doesn't cost a lot. I remember the rabbit ears, too. I have Hughes Net and its too expensive! Hi, tipstoretireearly. (Boy, that is hard for me to type). Thanks for reading, and agreeing this is good advice for those wanting to divorce their cable company. I sure haven't missed cable! Congratulations on taking the plunge and getting rid of the cable! Great advice for people looking to do the same. Hi, CloudExplorer. You are right....You did read and comment on this one. This is the only one I wrote about TV. I still don't have cable, and I still don't miss it. I enjoy my Roki box (on the rare occasions I take the time). Yup yup I remember reading this article of yours Mary a while back, as you stated to me recently that you wrote up on the TV topic, is it this hub you were referring too or another. I'll look around to see if I can find another of yours if so, I like writing about TV too and as you know now, I love reading about peoples points of view on the subject as well. Its fun to see peoples reactions and all for sure, once again awesome hub you got here. Hi, TycoonSam. I have not missed cable one day! I got tired of having to pay the cable company just to watch commercials. I hate all those sit coms. I now enjoy watching the movie of my choice on Netflix. Awesome job Mary and Congratulations on your new found freedom! Hi, midget38. Cable TV now is really a waste of time and money. I'm glad to be rid of it! Very clever move, Mary! Some of the channels on cable are a waste of time because we hardly watch them. like this you get what you need! Thanks for sharing, which I share too! Hi, Vinaya. Good to see you today! I'm glad I don't have to pay the cable company any longer. I don't know how cable is in Nepal, but you could look into it. This is completely new for me.I hope it works in my country. Hi, Alecia. 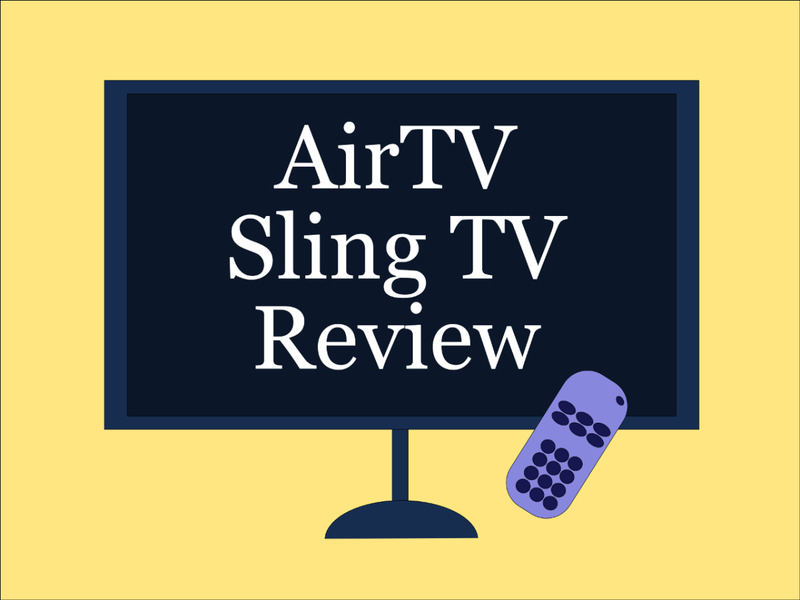 Thanks for reading and commenting on my Hub about my divorcing the cable company. You know, I haven't missed cable TV at all. Yes, I agree: you have to pay to watch channels you never watch. I'm not in charge of television costs but if I was, I would do something like this. The prices they charge now are outrageous and even if you get all those channels- you would have no time to possibly watch all of them without having no social or work life! And to me every dollar counts nowadays so you have to think wisely, which you indeed did- great hub! Hi, dragonflyfla. Thanks for taking the time to read and comment on my Hub about divorcing the cable company. I have not regretted giving them up for one minute. I wish I had done it sooner. Voted you up and useful! Hi Victoria Lynn. Boy, if you are only paying $27 a month for basic cable, that isn't bad at all! I think it depends on where you live in relation to where the stations are. As I said in the Hub, I'm 45 miles from the nearest large town that has the TV stations. I do get ABC, NBC, but not Fox. I get a lot of Spanish speaking stations out of Miami. If you have a newer flat screen TV, you could try the interior antenna. If it doesn't work, just return it. Good Luck. Let me know how it works out for you. HI, Mary! I've thought about doing something like this. I pay $27/month for basic cable, so, while not a lot, it would be great to never pay again. My only fear is that I won't get the stations I like. I'm old school and really only watch ABC, CBS, NBC, and FOX. 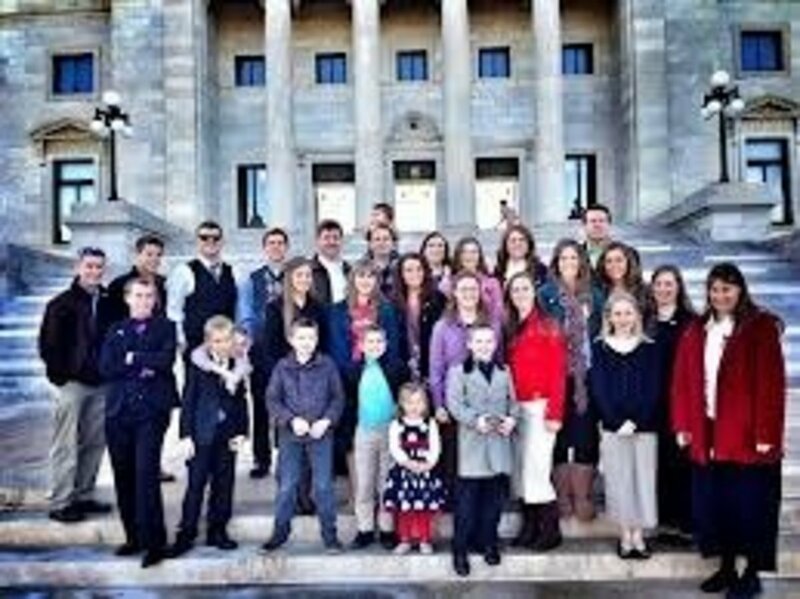 Those are the kids we got when I was a kid with rabbit ears--LOL. I've heard that some antennas will get some of those or not all. Do you get all of them? Great hub. I'm inspired. I might be brave! Hi there, Rusti. I do hope you'll be able to divorce the cable company! I hope this all works out for you! Please let me know how it goes. Good morning, Rusti. I really think more and more peole will give up their cable when they learn they can pull in channels just great with an interior antenna. I'm getting a channel called "Create" which I never got with cable. It's all day long of just crafts, which I love! Living in the woods may hinder you from getting good reception with an interior antenna, but you can surely try to just see. What do you have to lose, right? Good luck. Thanks so much for the shares! God do i hate the cable satellite tv's companies! I showed this to my husband because WE do have a converter box, but no idea how to do this.Marc says he can set it up. So, like you ,I'm going to keep my cable we live in the woods, so signals are hard even with a co.I'll keep it until we try this.I'm so excited I can't wait to have Marc do this.I LOVE this hub! Here's to quitting paying for tv! Tweeted and facebooked it! Hi AtHomeHeather. I'm so glad you found my Hub on divorcing the cable company informative and my writing humorous. Thanks for the nice compliment you have given me. I look forward to reading your Hubs, too, now that we are following each other! Goodnight. No only was this very informative and well written, but you are just a very funny personality! What a lightness you have in your writing! I enjoy reading your Hubs!